Any of you following this blog will realise by now that I’m a pretty big fan of Great Lakes gelatin. I do believe in its gut-healing power and find it has helped soothe my angry gut on one or more occasions. Having purchased gummy bears moulds from Amazon back in December, we have been a bit gummy bear mad the last few weeks. My daughter loves the excitement of making them – and eating them too of course! The flavour combinations are pretty endless but mango gummy bears are a firm favourite of ours. These gummies make a great food gift too. Everyone always seems impressed to receive gummy bears without the scary additives for once. They look great but take less than 25 minutes to prepare (including setting time). 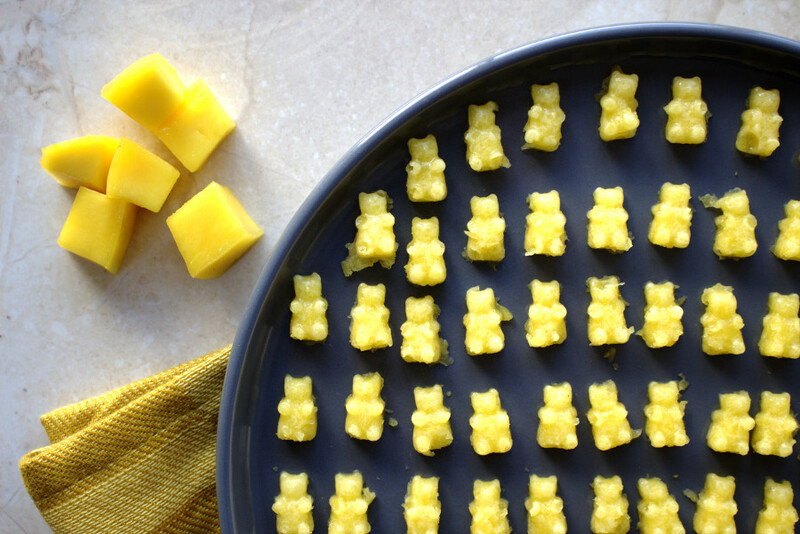 Like all my recipes, these mango gummy bears don’t contain any refined sugar. They contain only raw, local honey. Our honey really is local and comes from just a few kilometres away. It really does make these gummies extra special. If you love these gummy bears, you’ll love my grape-flavoured ones too. Click here for the recipe. 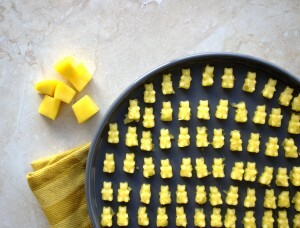 Healthy gummy bear treats free of refined sugar and great to make with your little ones. Mix the water and gelatin and stir well until dissolved. 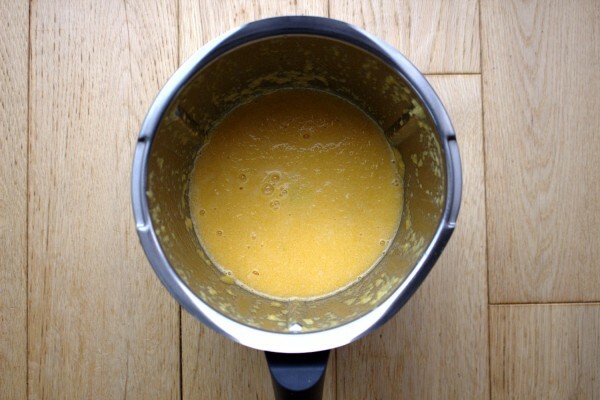 Peel, chop and put the mango half into a food processor. Blend until smooth. Add honey, if using. Add the gelatin mixture. 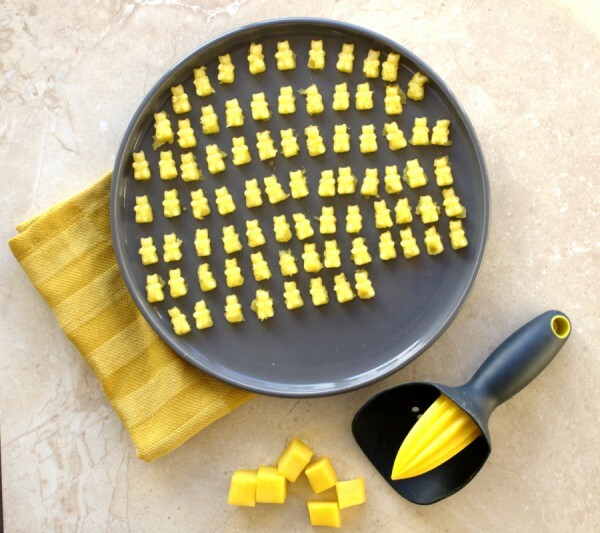 Allow to cool for just a few minutes, before pouring into gummy bear moulds. Don't leave too long or it will begin to set. Freeze for 15 minutes before removing from the moulds. The gummies can be kept in an airtight container in the fridge. If you have mixture left over, you can simply pour in into a bowl and refrigerate and enjoy later!